TV BANTER . . . with Joanne Madden: Children and television: Should you be concerned? - Whitney Houston lyrics from the song "The Greatest Love of All"
It's no secret that children spend a great many hours in front of a television and that it has an enormous effect on them and the way they view the world. 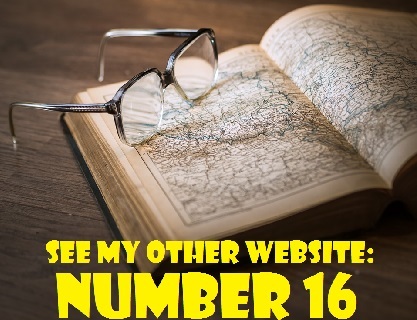 U.S. journalist and television host, Russell Baker, made the following observation: "By the age of six the average child will have completed the basic American education . . . From television, the child will have learned how to pick a lock, commit a fairly elaborate bank holdup, prevent wetness all day long, get the laundry twice as white, and kill people with a variety of sophisticated armaments." Our world is changing rapidly and dramatically, Today's television is more violent and sexually explicit than ever before. The reality is that we can't shield our children from everything. With social media and a multi-channel universe, they will eventually see things we'd rather they'd not see. Children have to grow up and they obviously can't remain in Neverland forever like Peter Pan - but they shouldn't have to grow up too soon. They shouldn't have to deal with certain realities before they're mature enough to handle them. So how can we raise them to be responsible and well-adjusted adults in the midst of all the turmoil and corruption in the world? As parents, relatives and teachers, we can certainly try our best to make sure that our children are viewing material that is appropriate for their age. What we can't do is put them on a leash or lock them in a cage in order to protect them. It is often said that communication is the key and that we should talk to our children and learn about their opinions. Children are inclined to learn from television [because] it is never too busy to talk to them, and it never has to bush them aside while it does household chores. Another thing we can do is stay informed. If you are concerned about the influence of television on our precious children, I urge you to get the facts. Canadians should go to the website of the Canadian Radio-television Communications Commission (CRTC), the independent government agency that regulates and supervises broadcasting and communications in this country. Here are CRTC's recommendations for parents and guardians. Canadian broadcasters give content ratings for children's programming, drama, "reality-based" shows and feature films. If you’re not familiar with a show, watch for the on-screen rating that appears at the beginning of the show, and after every commercial break. If your TV has the V-chip, you can use the technology to block programs you don’t want. If you see something on TV that you think is inappropriate, contact the Canadian Broadcasting Standards Council ( CBSC) with your concerns. If you subscribe to digital broadcasting services (on cable or direct-to-home (DTH) satellite, for example) you can use the blocking features in your set-top converter box. Check your manual for instructions on how to block a program, or ask your TV service provider for details. I also recommend an American website called Education News (http://www.educationnews.org). 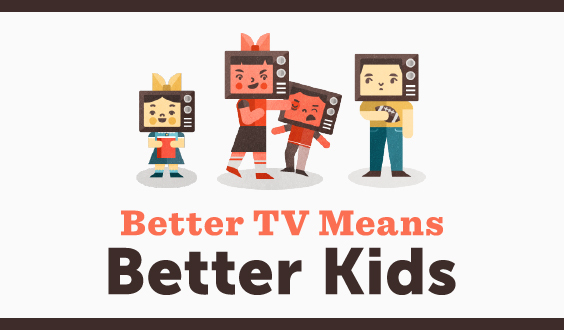 I acknowledge that I have used graphics from a piece on this site entitled "Better TV Means Better Kids." The graphics were created by Allison Morrison and Allison has granted me permission to use them. 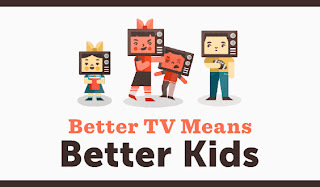 To view "Better TV Means Better Kids," click on the link below. * According to Education News, American children, 6-11, watch about four hours of television daily or 28 hours a week. The average preschooler views even more - 4.5 hours per day or 31.5 hours per week. * Television can have a negative impact on children's health as junk food is associated with watching television. As difficult as it is for some working parents, they have to take some responsibility in monitoring what their children are watching on the screen. Few parents would hire a babysitter without considering the babysitter's background and credentials. Few parents would leave a child in the care of someone who was irresponsible and likely to provide a negative impact on the youngster's health and well-being. To quote Bart Simpson, the bratty, rude ten-year old character in the extremely popular animated program, The Simpsons, "It's just hard not to listen to TV: it's spent so much more time raising us than you have." Another major concern for parents is the obesity rates for children who watch a great deal of television. They tend to eat more junk food and exercise less. They are also exposed to commercials promoting high calorie, low nutritional food. Scholarly studies have shown a correlation between the number of hours of television viewing by children and their level of obesity. 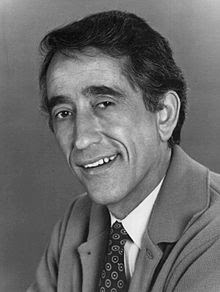 The late Laurence J. Peter, an American educator and author of The Peter Principle, stated, "Television has changed the American child from an irresistible force to an immovable object." We need desperately, I feel, a noncommercial alternative to what commercialism is trying to do to use. I'm not for censorship, but I'm certainly for self-censorship when it comes to producing or purveying products to America's children. I think that for people who make anything for children, their first though should be: Would I want my child to see, hear or touch this? And if the answer is no, just don't make it.